Weeknight Cooking is Easier with Reynolds! I must admit - I have always been a fan of Reynolds Wrap! 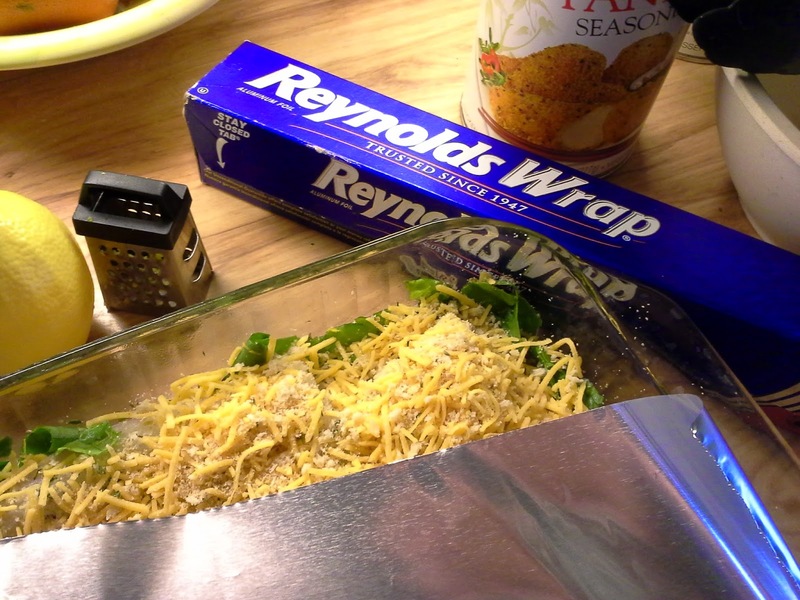 I love to use Reynolds Wrap in the kitchen!! Reynolds is a frequently used item in my kitchen! to cook on the grill, over an open campfire, or in the oven. I like to keep a box handy, for any use that might come up. 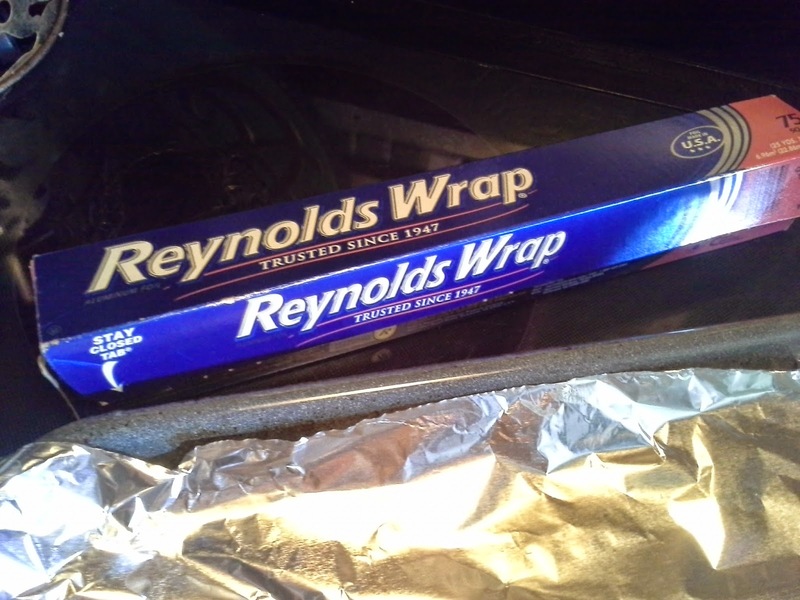 Recently, I had a bit of a Reynolds Wrap Ah-Ha moment! I was cooking a covered fish dish in the oven, and making fried okra to serve on the side. 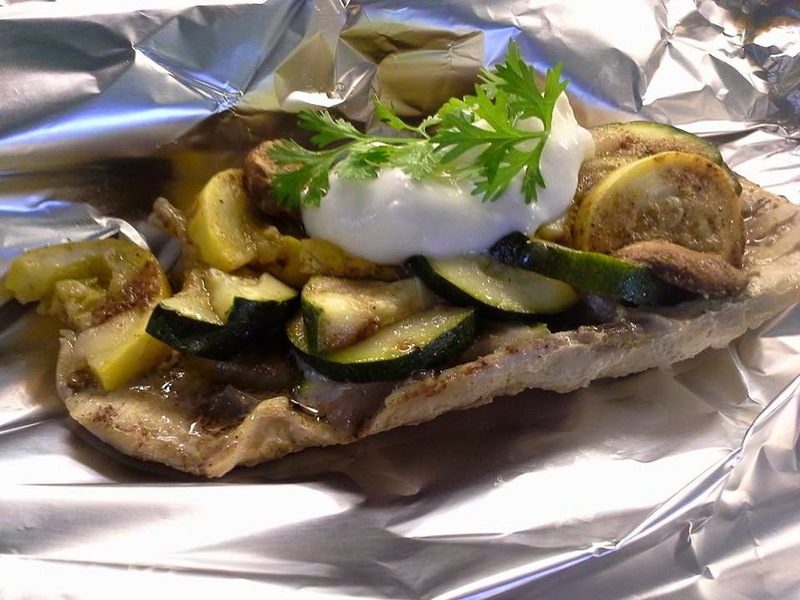 At a point near the end of baking the fish dish, I removed the foil cover for the final 10 minutes. Now, I hate to waste things. So I always remove the foil and set it to the side. It often comes in handy if I want to make some quick warmed or garlic bread to serve with the meal. 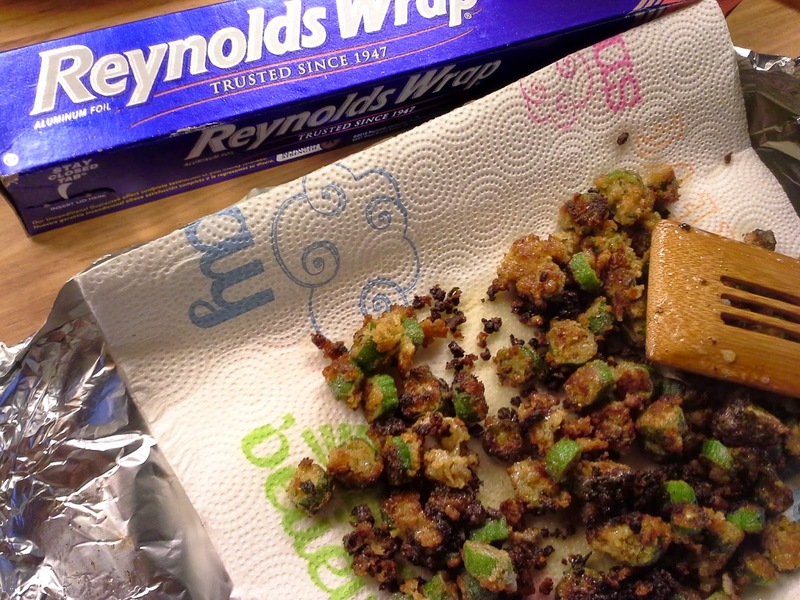 But this night, when it was time to drain the frying okra, and with a piece of paper towel in hand, I reached past the clean plates and grabbed the recently removed piece of foil. I lined it with the paper towel and gently placed the okra on it. Sweet. Even better, and the true Ah-Ha Moment - I loosely wrapped this up and popped it in the oven to keep it warm while the fish dish finished up. for easy kitchen weeknight cooking!! Allstar program visit, Allrecipes Allstars. I love fried okra!! But I do not have the best frying skills. I tend to over-stir, and lose all of the batter. Yes - this happens to pretty much anything I fry. But this time - Oh, this time, I got it right!! So grab a handful or three of fresh okra, and let's do this! Rinse and pat dry the okra. 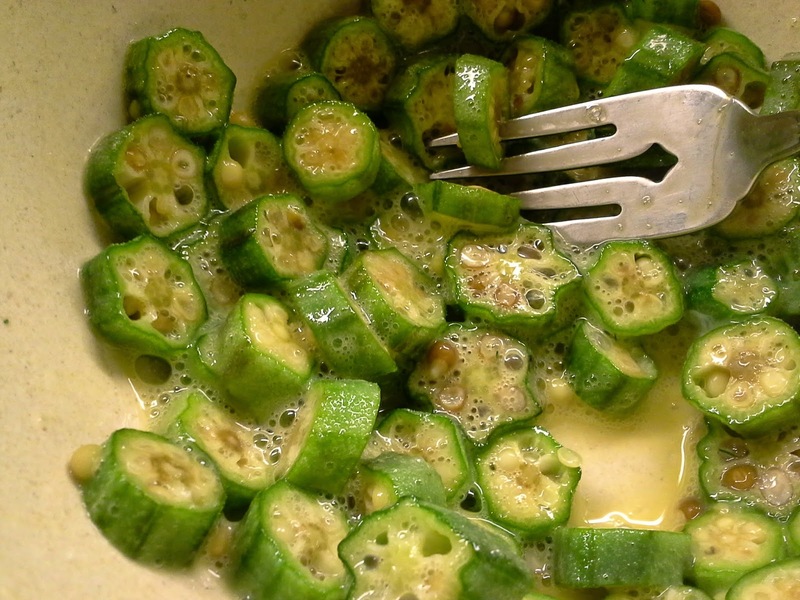 Using a sharp knife, cut the okra into 1/4" slices. In a medium bowl, gently beat the egg. 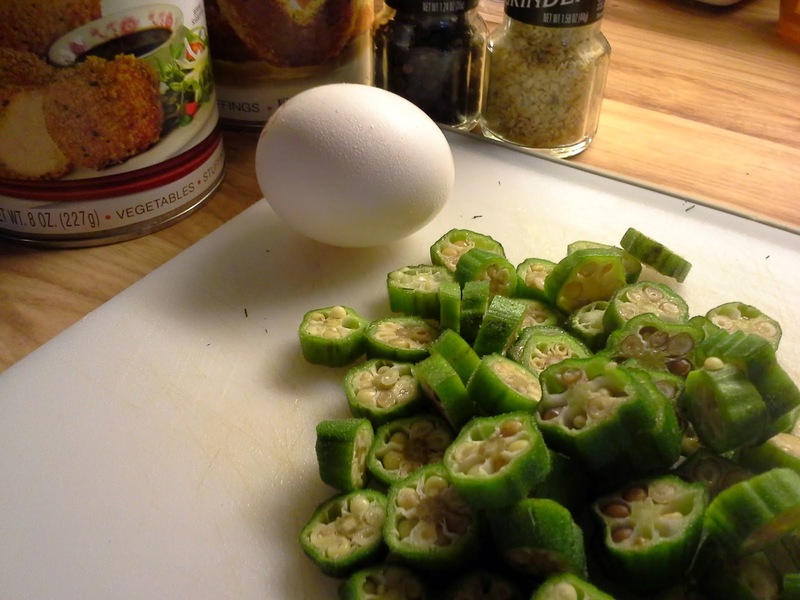 Put all of the okra into the egg, stir it up a bit, and let soak for 10-15 minutes. 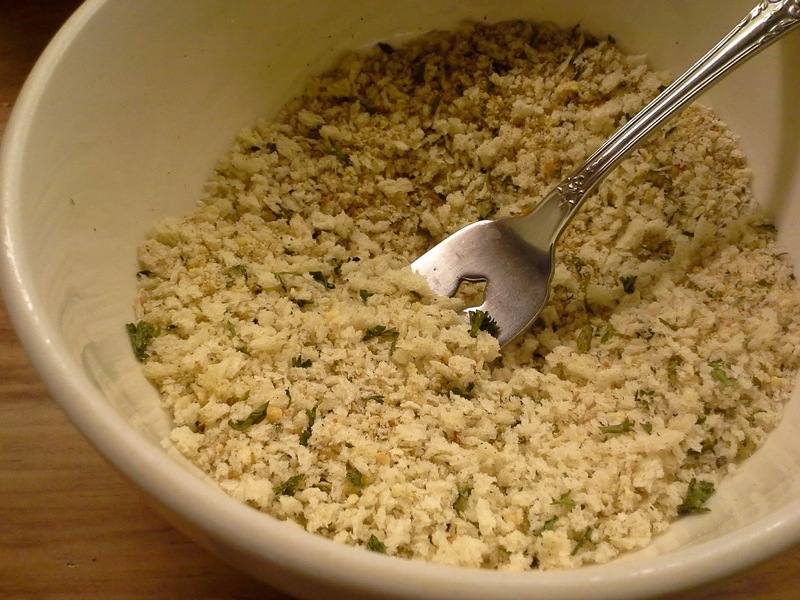 In another bowl, mix bread crumbs, panko, and seasonings. 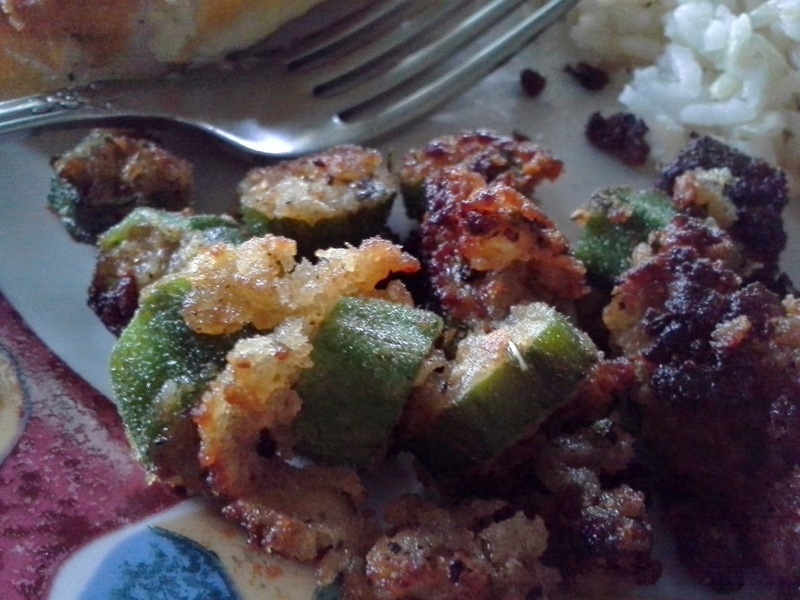 Pour dry mixture over the marinating okra, and gently mix. 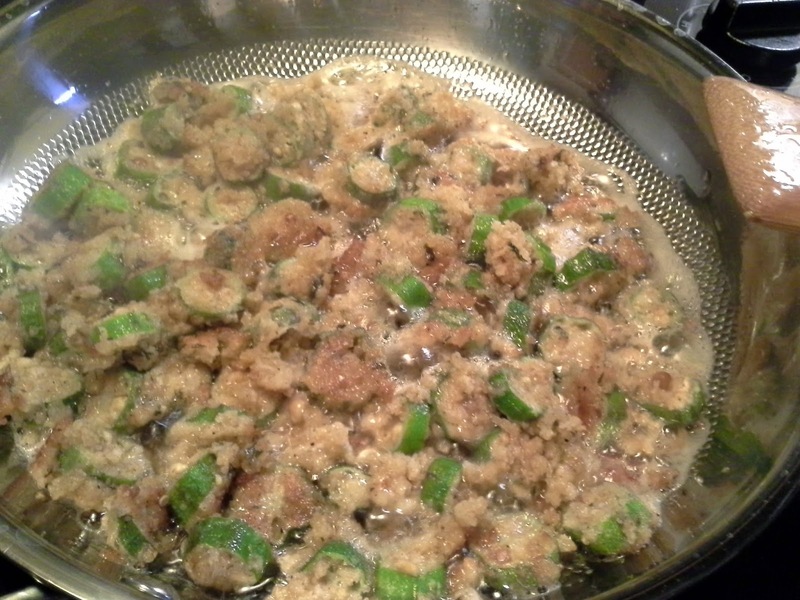 Carefully pour the okra into the hot oil, and allow to begin cooking. Using a flat, wide spatula, gently lift a section of okra and flip it over. Continue flipping sections so that all the okra has a chance to cook on all sides. Reduce heat to medium as okra continues to cook. 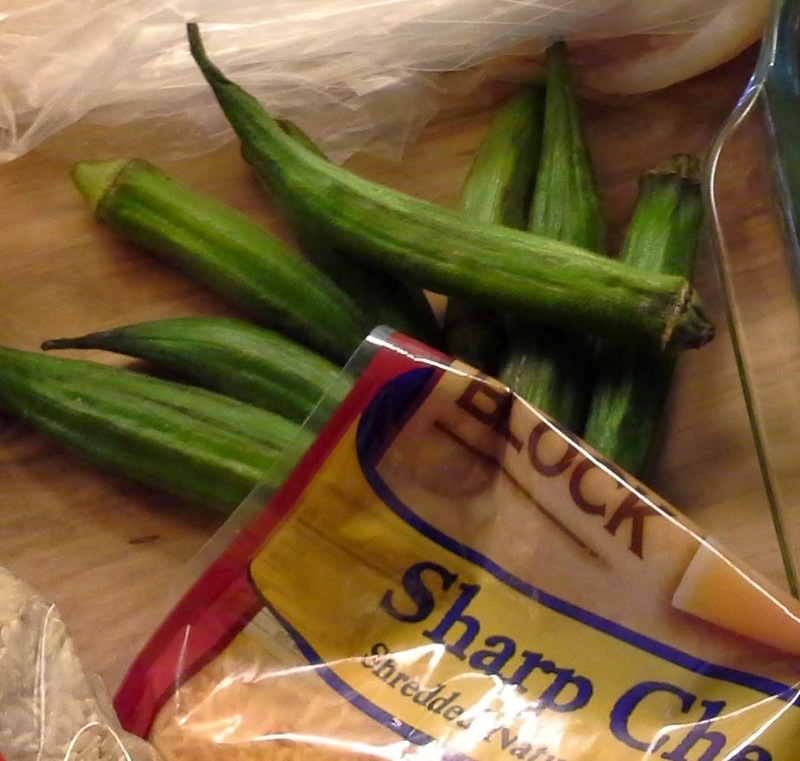 Remove okra to a paper towel to drain. you can wrap loosely in foil and set in a warm oven.